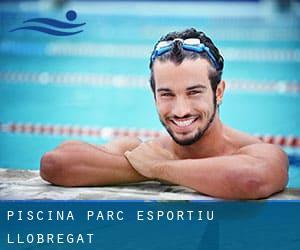 Interesting choice to spend some time swimming in Cornellà de Llobregat. Is it not your first time here? Tell us how it went using the Facebook comments below or contacting us directly! Piscina del Parc Esportiu Llobregat is only one of all the swimming pools Swimia is offering you, and its information has been shared with us by a swimmer like you.Don't forget you are able to now promote Piscina del Parc Esportiu Llobregat by sharing this page together with your friends, adding comments and linking to us. Few days ago a regular user of this center told us they offer 25 meters, 5 lanes, Indoors, Outdoors. Furthermore, they keep in good conditions 25 meters, 1 lanes. For this Swimming Pool, only phone number is number here. If you believe that any on the details is incorrect, please get in touch with us. Assist us be better day-by-day. Updated on 2019 Ctra. de l'Hospitalet s/n (Parque de Can Mercader). Swimmers like you have reported 25 meters, 8 lanes, 1.40m depth, Indoors, Outdoors. Also, you will find Olympic size, 8 lanes, 1.40m depth. Just in case you desire to get in touch with this Swimming Pool before dropping by, we only know the phone number.